This doll is amazing! She is even better in person than I had hoped for. She is my favorite doll in my collection, by far! 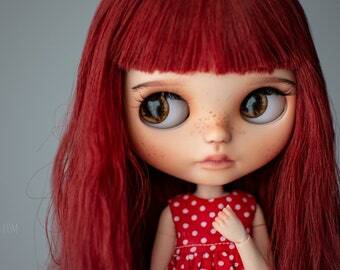 I have been becoming tired of " Cute Doll". This girl is absolutely stunning. She’s so much more beautiful in person. The seller was great to work with and I’ll absolutely buy from them again! My first doll's name was Unnie, so I decided my shop's name will be: Unnie dolls. 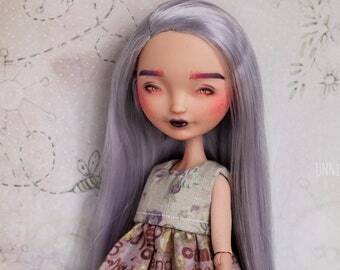 After Mylo I made other dolls of air-dry clay: cute girls, BJDs and miniatures. 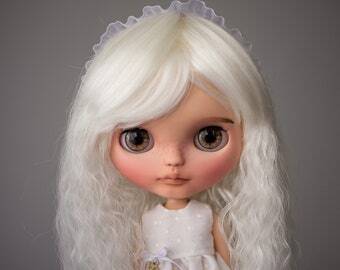 At the begining of 2014 I started customizing Monster High and Blythe dolls. 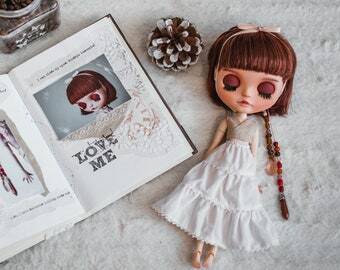 I love the beautiful world of the dolls and I hope with my creations I can help to others to discover this beautiful world. If you have any question, you can write me in Hungarian and Romanian too. - The paid deposits are non-refundable under any circumference and by paying the deposit you automatically accept this and agree with it. - All items are shipped using Romania Post from Miercurea-Ciuc. - I am not responsible for packages that are lost, stolen or delayed. - All sales are final: once an item has been shipped, there are NO exchanges or refunds. - If you live in the US, please note that the delivery time can be 4-6-8 weeks. The packages leave my country within 1 week, but they move to a shipping container. The tracking code will show that the package left my country, but can’t be updated because in a container the barcode can’t be scanned to update. When it arrives at the destination the container will be unloaded and the pieces will get scanned, then delivered, probably on the same day. After you received your item, please send me a note and/or leave FEEDBACK so I’ll know the transaction is over and (hopefully) successful. If there are any problems with your order, let me know before leaving any feedback so we can try to solve them.